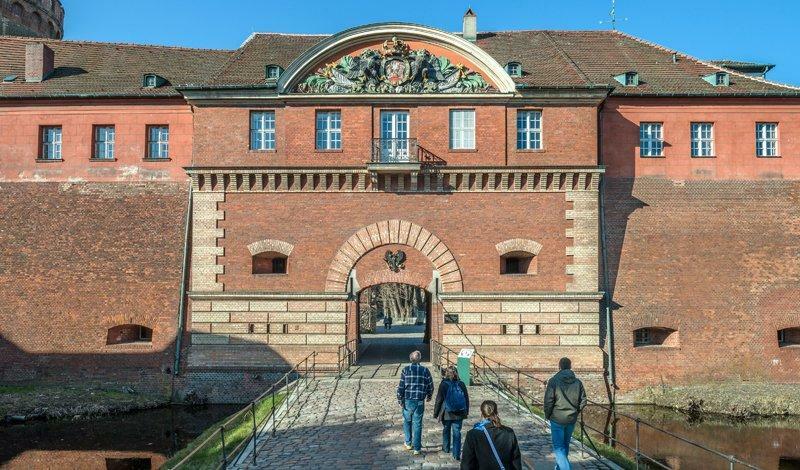 The guardhouse dating from the beginning of the construction of the fortress was redesigned in the 17th century and the crest of the rulers of Brandenburg-Prussia was added. Since the wars against Napoleon it served as Commander’s House. On the ground floor you will find the box office and visitor information. The Museum Shop is situated on the upper floor, at the entrance of the exhibition “Castle and Citadel”, which leads directly to the Julius Tower.